I read quite a few contemporary romances in August, seven of them are books acquired by Nath during the RWA 2015 conference and gifted to me. Nath went so far as to have a few authors sign those books! From this batch, the only signed book I possess is Start Me Up by Nicole Michaels, which says "Enjoy Uncle Mike." I did. 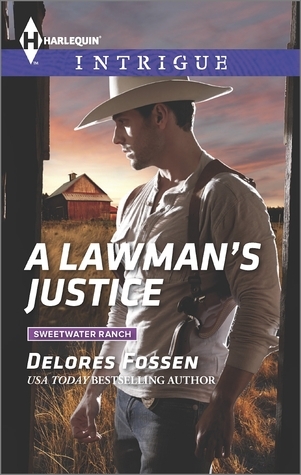 Additionally, I purchased A Lawman's Justice by Delores Fossen after having read Surrendering to the Sheriff, another gift from Nath. Last, but not least, I DNF'd one book from that batch, a Harlequin American Romance, The Bull Rider's Son by Cathy McDavid, which unfortunately did not work for me at all due to not one, but three 'secret pregnancies,' one that caused an almost irreparable rift in a family, another one swept under the carpet by the hero as if it was so much fluff and the right thing to do, and the third by the heroine of the piece, a woman who did not learn anything from her mother's mistakes. A myriad of lies are told by supposed adults within the first few chapters and insta-lust takes place in the first couple of paragraphs. DNF. Now to my reads. Listed from most to least enjoyable. 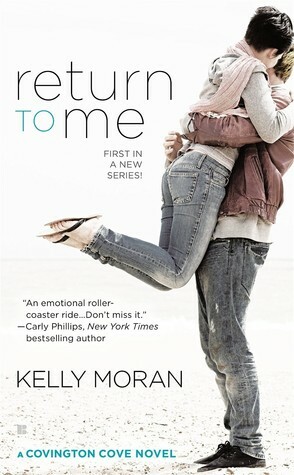 Return to Me is a second chance at love romance. Moran weaves a story through the past memories and present circumstances of a couple who met while they were young adults and fell in love, only to have that love end in lies, betrayals, and tragedy. The present also begins under sad circumstances as Cole Covington comes home from Afghanistan suffering from injuries, PTSD, and riddled with guilt about the past. Mia Galdon, now a nurse, is roped by his sister into helping with his recovery. Set in the South with modern, politically involved, wealthy society taking its toll on the help. Rich kid falls in love with the help's daughter, unscrupulous mom disapproves, and it all ends in tragedy for everyone. This is a bittersweet romance with many conflicts to resolve before the happy ending is reached. Cole? Cole is a damaged hero in love, and I admit that those types of heroes always make me swoon a little. Mia, on the other hand, has serious responsibilities in her life that may or may not interfere with her love life -- she has sole custody of a younger sister with down syndrome. Mia loves wholeheartedly, but understandably those responsibilities hold priority. In the present, some of the same obstacles from the past still hold sway, and as adults Cole and Mia must make tough decisions. I like that when the time comes, Cole is an adult about making those decisions and although Mia takes the tough road, she makes the right decision for her. I enjoyed the main characters and romance, as well as the secondary characters in Return to Me. I plan to read Kelly Moran's second installment in her Covington Cove series, All of Me. Recommended. The conclusion to a highly dramatic Harlequin Intrigue romance series by Delores Fossen, A Lawman's Justice was both predictable and entertaining. I only read the installment released right before this one, Surrendering to the Sheriff, and was able to catch up with the overall story arc without a problem. In this installment FBI Special Agent Seth Calder, Jewell's beloved stepson and Whitt Braddock's youngest daughter, relentless journalist Shelby Braddock, the woman responsible for uncovering the evidence that placed Jewell behind bars, finally collide in an investigation that threatens both their lives. The investigation throws them together and ignites passion where before there had only been hostility and a mild attraction. Eventually their combined investigation leads to the truth behind Whitt Braddock's death and answers to the question of Jewell's guilt. High family drama ensues!! Like the last installment, A Lawman's Justice is filled with action, a high body count, shootouts, and more than enough family drama. Although, truthfully, the only 'laugh-out-loud' moment related to the drama came when I read the word "amnesia," (Oh noes!!) yes, this lived up to my expectations of the soap-opera style writing style I expected. 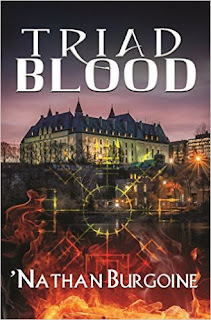 It had the over-the-top ending and intricate family relationships I was looking for, as well as hidden agendas and dramatic revelations. If you are a fan of this sort of "intrigue," this series is for you. I certainly enjoyed the last two installments. (Tongue-in-cheek: I was disappointed that the evil twin-sister device was not used). Recommended. Anne Edmund is a Do-It-Yourself single mother. She has a well-known successful crafty 'mommy blog' with two girlfriends as contributors. Anne is confident when it comes to craft projects, work, and life with her daughter, but not when it comes to herself or relationships with men. That becomes more than abundantly clear when she meets her daughter's best friend's uncle, the drool worthy Uncle Mike. Mike Everett owns a car body shop where he restores classic cars for collectors and wealthy clients. He is a contented single man with no plans to get involved with a woman for more than a one-night stand or a single date until he meets the gorgeous Anne. When I read a romance, the female protagonist usually makes or breaks the romance for me. In this case, Anne has left over baggage from the breakup of her marriage. It left her feeling insecure about her looks and paranoid about the time she devoted to her blog. As a result, she continually obsesses about her lack of beauty, avoid and later lies about her blog to Mike. Additionally, Mike is younger than Anne by about three years, and this fact also makes her feel insecure about younger women, particularly since he is such a good looking man. Anne is a woman with curves, and the personal insecurity about her looks is of course baseless, since Mike, other men, and her friends find her gorgeous -- they tell her and show her throughout the story. This sort of personal insecurity may be understandable as not everyone is self-confident about their looks or sees themselves as others see them. Anne, however, uses her insecurity as a shield to avoid making a commitment to Mike almost to the very end. This drove me nuts! Mike, on the other hand, falls for Anne like a teenager in love for the first time, and this side of the romance is worth reading. However, I found this to be an unbalanced romance. Anne just takes too long to trust Mike with her real self and I don't even know if in the future she won't allow her personal insecurities to interfere with the relationship. Mike will have to do a lot of hard work to keep this going. 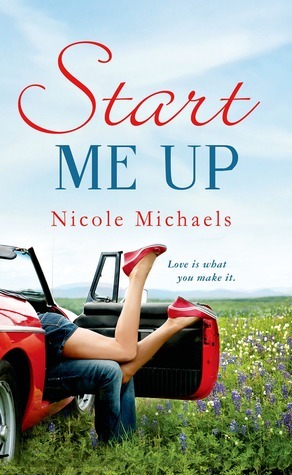 Overall though, there are other aspects of the novel that makes Start Me Up a cute contemporary romance. It is a nice, light, fluffy read, and I loved "Uncle Mike." Recommended with caveats. This western contemporary romance has the word "city slicker" in the summary when referring to the heroine. That turned me off right there. However, I went ahead and began to read it anyway. Unfortunately, that darn little phrase turns up all over the place throughout the story until it became thoroughly annoying. If you are a seasoned romance reader, just by that little phrase you may already have an idea about the content of this book. Pete Brannigan is ordered by his boss to play tour guide to his granddaughter, photographer and 'city slicker,' Jane Garland while she photographs the family home turned Inn for a new website. He lusts after her but resents it because his ex-wife abandoned him and his two children for a life in the city. Eventually he falls in love with her but won't trust her with his heart or his children. Jane lusts after Pete as well, gets involved with his children despite his repeated warnings not to do so, but still wants her life in the city anyway. Pete's little girl ends up getting hurt by everyone: her selfish mother, fearful father, and Jane who abandons her just like her mother did when she returns to her life in the city. Grandpa who began it all by playing matchmaker worries these two people will never get together. They do despite the obstacles. This romance has its moments. 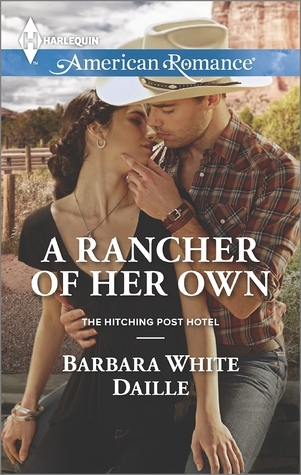 I enjoyed the ranch house atmosphere and intimate family portrayal more so than the actual 'romance.' Not for me. Start Me Up sounds intriguing. I do so enjoy older heroine/younger hero type books. Though I too get annoyed when the heroine doth protest too much. Lap it up woman! A hot young dude is wanting you. LOL Kristie! I kept thinking, "what is wrong with this picture?! Enjoy it, lady." Start Me Up is cute! The overall story has a lightness to it that's enjoyable. I particularly like that Uncle Mike's POV is utilized to develop the story as well as Anne's so there's no question as to mutual feelings. There should be at least two follow up books coming up to cover romances for Anne's blogging / business partners. Uh oh. Pretty sure I have The Bull Rider's Son in the TBR. Oh well - I'll try it. Wendy has been getting in touch with her Inner DNF Queen of late. I have the Fossen title, another impulse grab from RWA. My reading mood is all over the place right now. Maybe soap opera is what I need? Sigh - and I probably also have the "city slicker" book. Seriously. I cannot control myself at the Harlequin book signing! I tend to get annoyed with plot devices like that, so that one may, or may not, get skimmed to see if it sticks. Wendy, you may have more patience than I had for The Bull Rider's Son. You never know? I got in touch with my inner DNF Queen a while ago and haven't looked back -- too many books waiting to be read. And it's funny, but the words "city slicker" and what it implies in this sort of romance slowly became a negative trigger for me throughout the years. You probably have these. Nath grabbed quite a few of the rancher/cowboy Harlequin books for me. She's the sweetest!